Authored Articles The Marital Standard of Living Budget – Why Do I Have To Do This? If you are a candidate to receive spousal maintenance, your attorney will ask you to prepare a “marital standard of living budget.” This task may be the hardest and most tedious part of your divorce, but it is critically important to your claim for spousal maintenance. Making sure your marital standard of living budget is accurate and reasonable from the start will make your case for spousal maintenance more credible and persuasive. First, what is spousal maintenance? Where one spouse has a higher earnings history and earnings potential than the other spouse, for example where the other spouse did not work outside the home during the marriage, the Court may order the higher earning spouse (the “obligor”) to contribute to the support of the lower earning spouse (the “obligee”) for some period of time after the parties are divorced. This obligation to contribute to an ex-spouse’s support is called spousal maintenance in Minnesota. In order to establish a spousal maintenance obligation, the obligee must first meet a threshold burden of proof, to establish that he or she is unable to meet her reasonable needs, “considering the standard of living established during the marriage,” with her own resources, including earned income and the “marital property apportioned” to her. If the obligee is able to meet that threshold issue by establishing the need for maintenance, the Court will then consider eight factors enumerated in the statute to establish the amount and the duration of spousal maintenance. Among other factors, the Court will look at the financial resources of the party seeking maintenance; the time necessary for the party seeking maintenance to find appropriate employment, including retraining; the duration of the marriage; the age and physical and emotional condition of the spouse seeking maintenance; and so on. For purposes of this article, we focus on just one of the eight factors: “the standard of living established during the marriage.” The alert reader will realize those words were already noted in the analysis of the threshold issue. In other words, this concept is important enough to bear repeating within the statute. The marital standard of living not only establishes the obligee’s need for spousal maintenance, it also operates as a ceiling past which the obligor cannot be ordered to contribute. For example, assume that you establish a marital standard of living budget of $8,000 per month. Assume your spouse is ordered to pay sufficient maintenance to you in order for you to maintain that lifestyle. Now assume that, sometime after your divorce is final, your spouse hits the jackpot with an amazing invention that earns him millions of dollars more than what he earned during the marriage. Your spousal maintenance will still be based on $8,000 per month, even if your ex-spouse is now living the high life with multiple homes and exotic travel. He cannot be ordered to pay you more than what you lived on during the marriage. Our firm will provide you with an editable budget form that you can use as a template in estimating what you need on a monthly basis to meet your expenses. We may ask you to examine a representative period in your marriage, e.g., the twelve months before you separated, or the twelve months before your dissolution matter was commenced, or another period that you feel is appropriate. In examining this period, you will review your bank records, checks, and credit card statements to find an average monthly cost for a number of line items, e.g., clothing and shoes, cell phone service, dining out, or for any of the other numerous categories that make up your monthly budget. It makes sense to look at an entire year, because spending ebbs and flows during any year. For instance, some families spend most of the annual gift budget in December. Some families may spend most of their annual vacation budget in August. If certain high-spending months are not included in the analysis, the monthly average budget item will be understated. If you have operated out of one checking account and used only one credit card, it is relatively straightforward to simply go through a year’s worth of statements and allocate expenses to various categories. It can be tricky, however, to break out your own expenses from those attributable to children or your spouse. When considering spousal maintenance, the focus is only on the obligee’s expenses. Some fixed expenses clearly do not change regardless of whether you include the children/spouse, for instance, your monthly mortgage or utility payments. However, when reviewing discretionary expenses, for clothing or dining out or vacations or the like, it can be hard to discern how much you have spent on your own needs versus what has been spent on the children’s or your spouse’s needs. One method used is to simply divide discretionary expenses by the total number of people in the homestead, and attribute that fractional share to yourself in your budget. Such a method does not work, however, if the children are small or if your spouse puts his or her own discretionary expenses on his or her own credit card or for any other of a myriad of reasons. In those instances, you will need to estimate to the best of your ability what portion of the total monthly expenses is actually attributable to your needs. 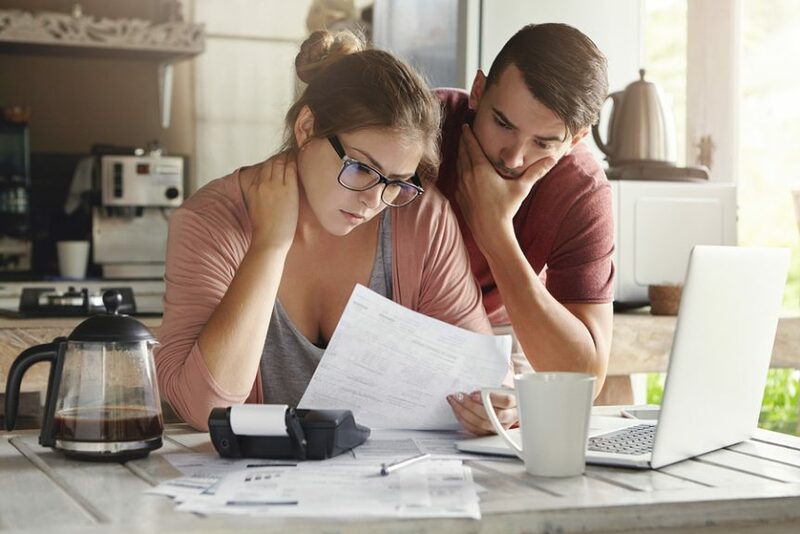 If you have a more complex marital picture, involving multiple checking accounts and credit cards, or if you have very little idea of the marital finances, it can be helpful to retain a financial expert. Your attorneys will help you to gather the relevant information to provide to the expert, who will audit your banking and credit card records to ascertain as exactly as possible how you and your spouse spent money during the marriage. This approach can be helpful where it appears likely that your spouse may challenge the accuracy of your claimed budget. In such a case, it can be invaluable to have an expert report to back you up. We recognize that the budgeting process can be challenging. Our paralegal team works closely with our clients to come up with an accurate representation of the marital standard of living. The more precise detail and back-up documentation that can be provided, the easier the process of establishing spousal maintenance will be. An investment of time at the beginning of your dissolution matter to accomplish a solid budget will pay for itself later in the proceedings, in both time spent and fees incurred.